Greener products are simply less stressful for our body. It pays to consider what fumes we are breathing in or which chemicals are soaking into our skin. For instance, natural products used on the body and around the home can help to prevent or ease chronic illnesses like Asthma. Ingredients in greener products are less likely to cause things like skin irritations and flare-ups in children or those with sensitive skin, and if you mix your own cleaners at home then you know exactly what’s gone into them- something we can never be sure of with chemical-based products. Unless we research, we won’t always know the harmful effects and what they mean to our body. 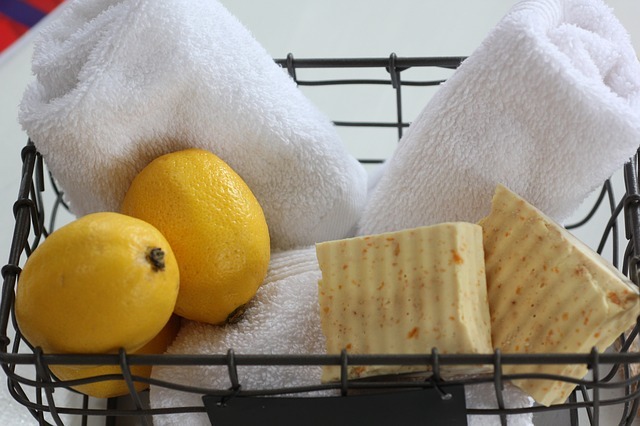 Making small changes toward natural products is notably safer and can be less expensive, things like lemon, aloe vera, and many essential oils are widely accessible, inexpensive natural cleansers and anti-bacterial and anti-viral also. Taking care of our family and ourselves extends to the external environment also. Greener or more natural products are far kinder to the environment and the world we live in- fewer pollutants all around cannot be a bad thing! However, it is easier said than done…because we are all just looking for ways to shave down the time spent on chores and cleanliness. Too often we may opt for the products that promise to save us time but in doing so, they may be damaging our health. Sometimes, all that is needed is to go back to basics! Your body has enough pollutants, toxins, additives, preservatives and harmful chemicals to deal with…so why place an increased burden on your immune, circulatory and respiratory system? Change is always a choice- so choose better for you and your family! We are fortunate enough to have natural goodness available to us so we should utilize this gift. Whatever your health, cosmetic and fitness goals may be, supporting yourself and your family through products that are sourced by nature and her miracles gives you the best basis for success.